The wrist, despite its small size, can host a great artistic addition to your body and it is called wrist tattoo designs. Now, we all know by now that the wrist has a think skin layer just above the joint that connects the hand to the forearm. Will it be painful if you ink a tattoo on this part of the body? Is the pain of inking a wrist tattoo worth it? We are here to help you answer these questions and guide you to have your very desirable wrist tattoo. In this article, we will be sharing with you the pain levels you will experience when getting this tattoo, the most suitable designs for a wrist tattoo, and the preferences of men and women on said tattoo placement. 1 Wrist Tattoo: Is It Painful? Wrist Tattoo: Is It Painful? Truthfully, yes, it is painful, extremely painful. This is because the skin on this portion of the body is very thin and said skin is near the joint that joins the bones of the hand and the forearm. But we believe that the visual impact of a wrist tattoo greatly outweighs the pain you will experience while the tattooing process is being made, after all, most wrist tattoo designs are quite small which only takes two hours at most to permanently ink in on the skin of the wrist. In those two hours, not all the time you will be at the mercy of the tattoo needle because the artist will also need to rest his or her hand. So if we are to talk about the tattoo process without the breaks and all the side kinds of stuff, it will just take around three-quarters of an hour at most. Almost all designs out there can be made as a wrist tattoo but here in Tats N’ Rings, we believe that a majority of the most effective and visually pleasing wrist tattoo designs are the smaller tattoo designs out there. Why do you ask? It is because a smaller tattoo means less pain for you but holds a great deal of detail. Plus, you can easily conceal a small wrist tattoo design by wearing bracelets, wrist watches, or any wrist accessory you have. Full disclaimer, we are not saying that only small tattoo designs are good to be made as a wrist tattoo as there is still a good chunk of medium to large size tattoo designs out there can be made as a beautiful wrist tattoo. 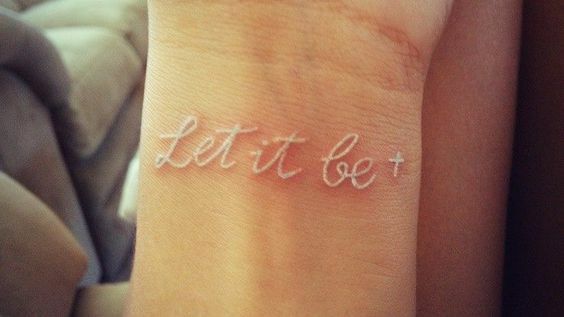 Here are some wrist tattoo designs we personally think would be extremely perfect for you. This tattoo is small, easily concealable, and can be incorporated into various other tattoo designs. 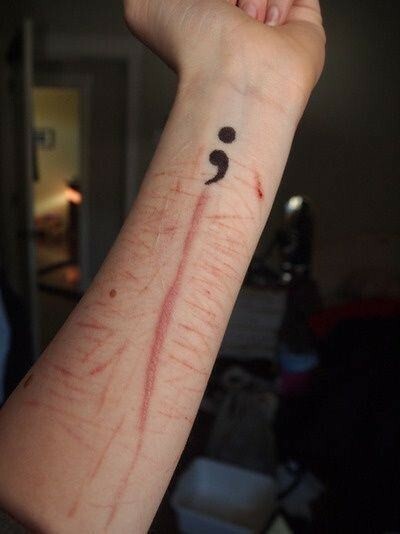 Moreover, the semicolon tattoo holds a deep meaning for a lot of people. 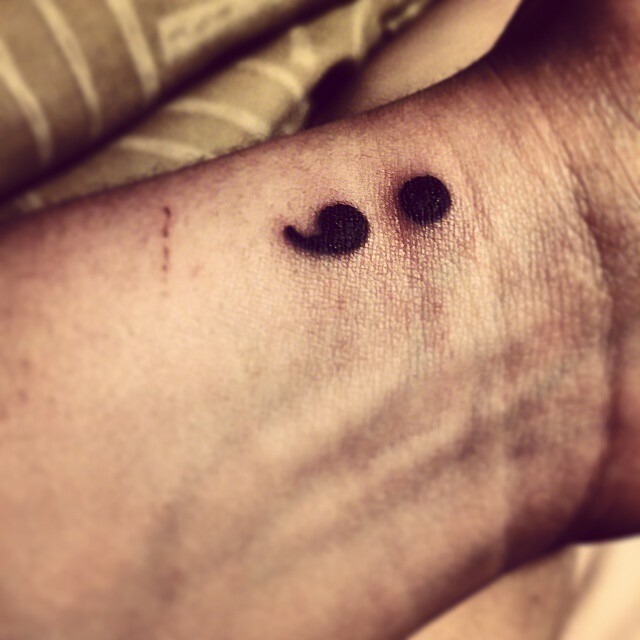 A simple semicolon tattoo on the side of the wrist. 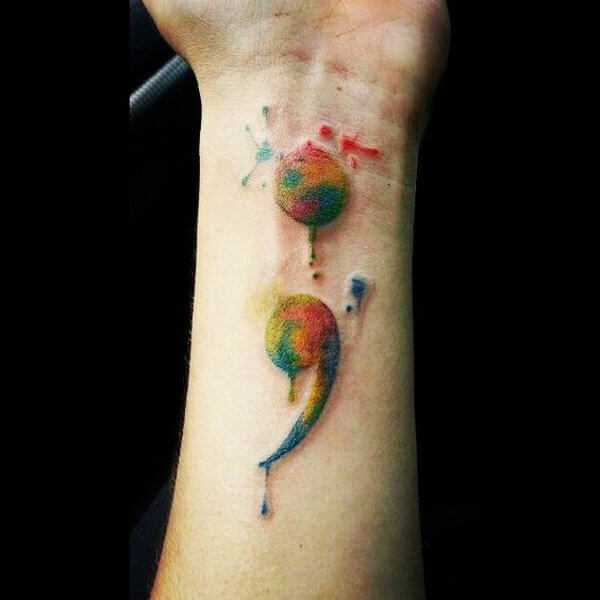 A watercolor tattoo of a semicolon on the wrist. A simple wrist tattoo of the word warrior with the letter i as a semicolon. 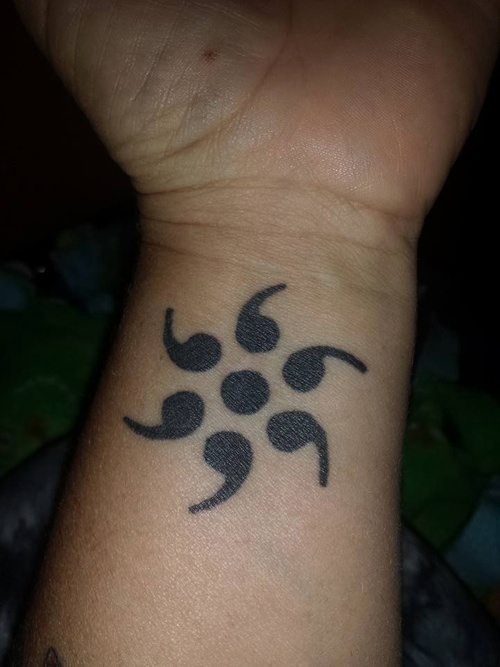 A medium size semicolon tattoo on the wrist. 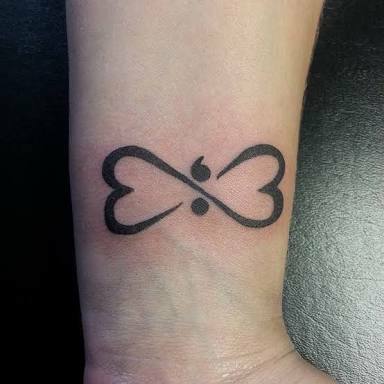 A tattoo of two hearts with a semicolon in the middle. 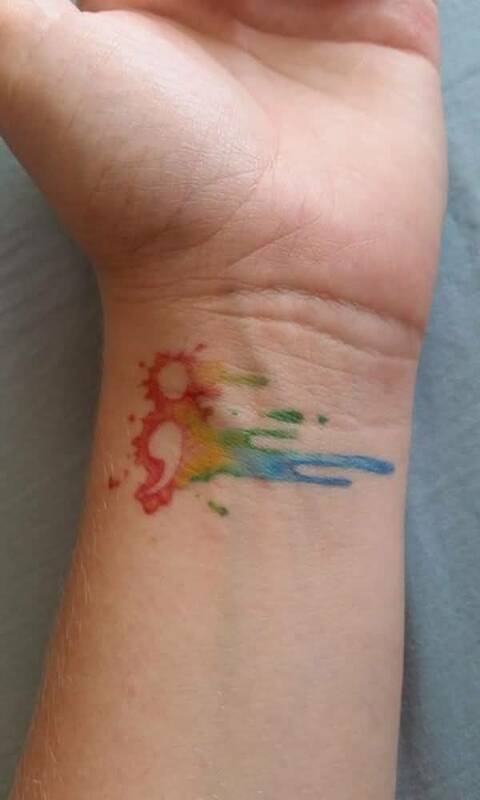 A very colorful watercolor tattoo of a large semicolon symbol o the wrist. Now this wrist tattoo design is the epitome of visual appeal and artistic value. Geometric tattoos can range from the simplest shapes you can imagine to the most intricate tattoo designs you often see in top 10 lists. Geometric tattoos are quite new in the body art industry and tattoo communities but this tattoo is gaining traction fast. More and more tattoo enthusiasts and tattoo artists are now being drawn to this tattoo design because it can hold whatever meaning you put to it and as an added bonus, it has a huge visual appeal that is quite unique to this tattoo design. Oh, and did we say simple? Since geometric tattoo designs can be simple to the most intricate you can dream of, this tattoo design is very well suited for a wrist tattoo. 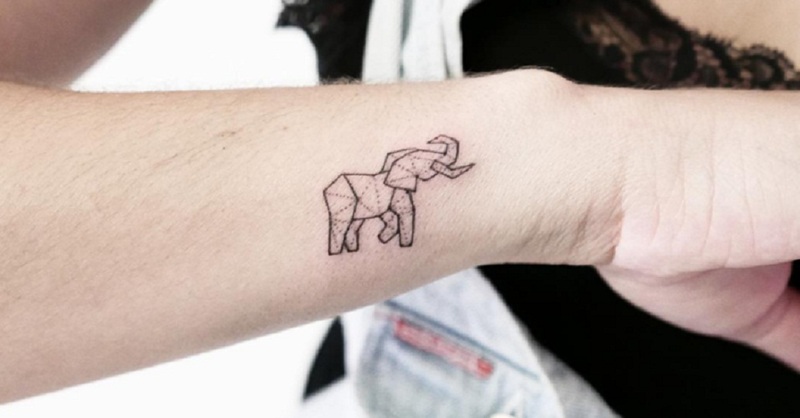 A small geometric tattoo of an elephant on the wrist. 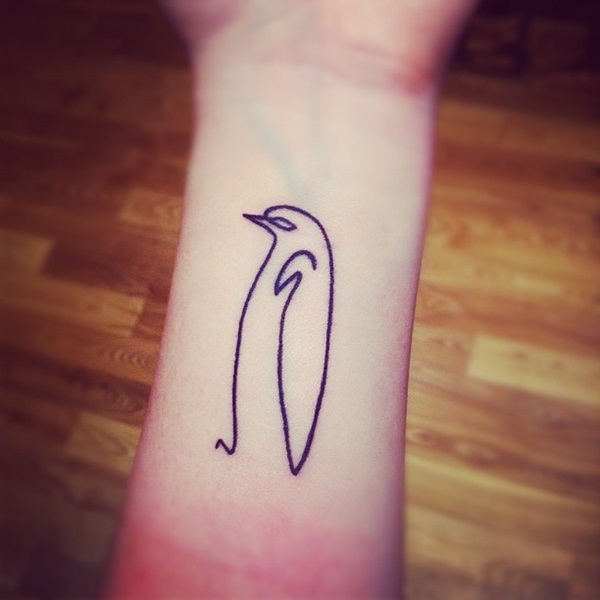 A one line geometric tattoo of a penguin on the wrist. 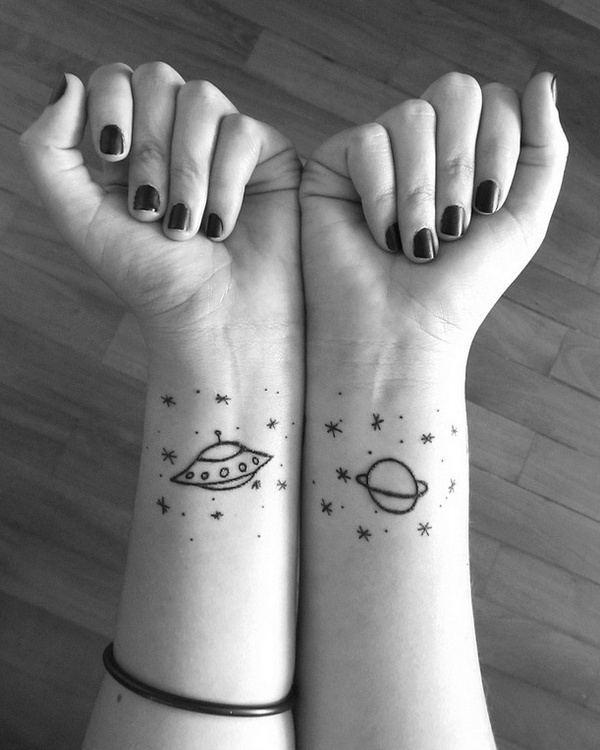 simple but detailed geometric tattoos of a planet and a flying saucer. 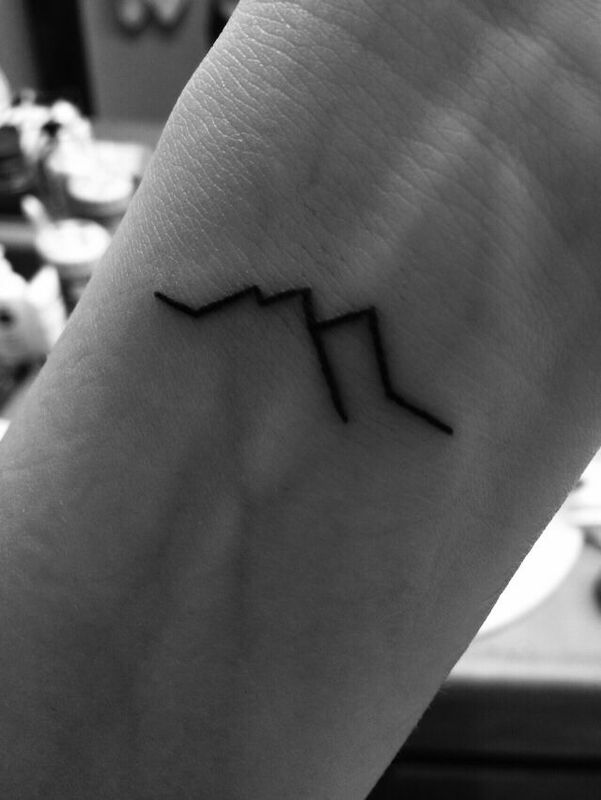 A simple geometric line tattoo of a mountain range. 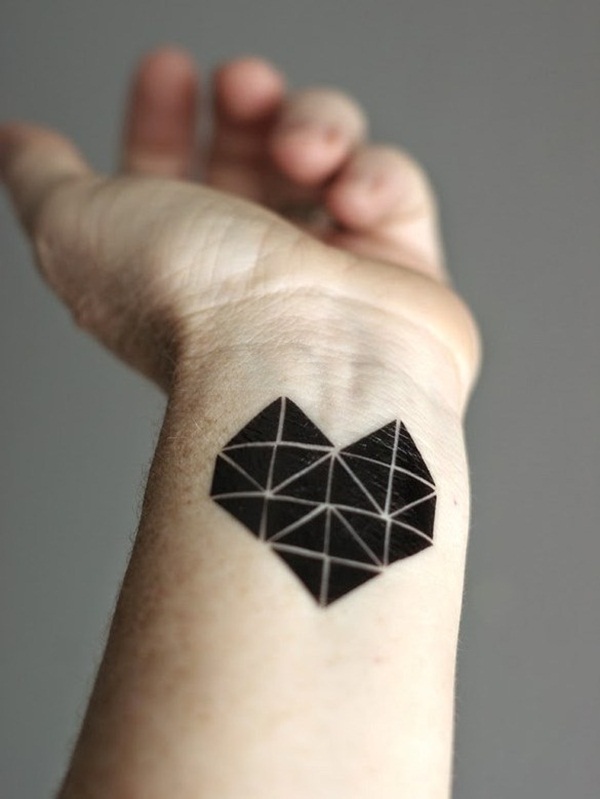 A black heart tattoo on the wrist comprised of twenty black triangles. 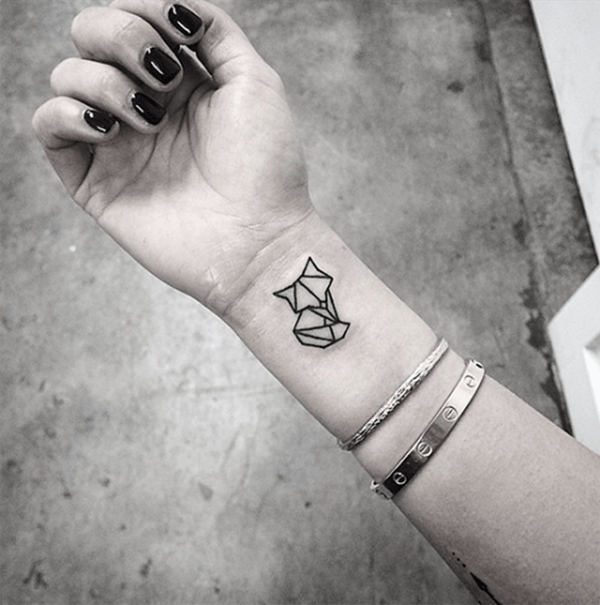 A simple geometric tattoo of a small fox on the wrist. Watercolor tattoo designs are generally considered to be the fierce rival of geometric tattoos because they possess the same traits such as huge aesthetic value and visual impact. 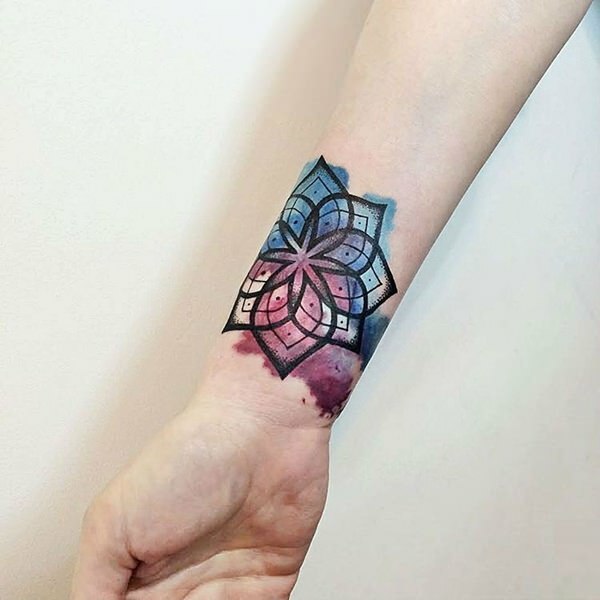 Despite these, however, we are now seeing more tattoo designs incorporate this watercolor tattoo to various different tattoo designs including its fiercest rival, the geometric tattoo. 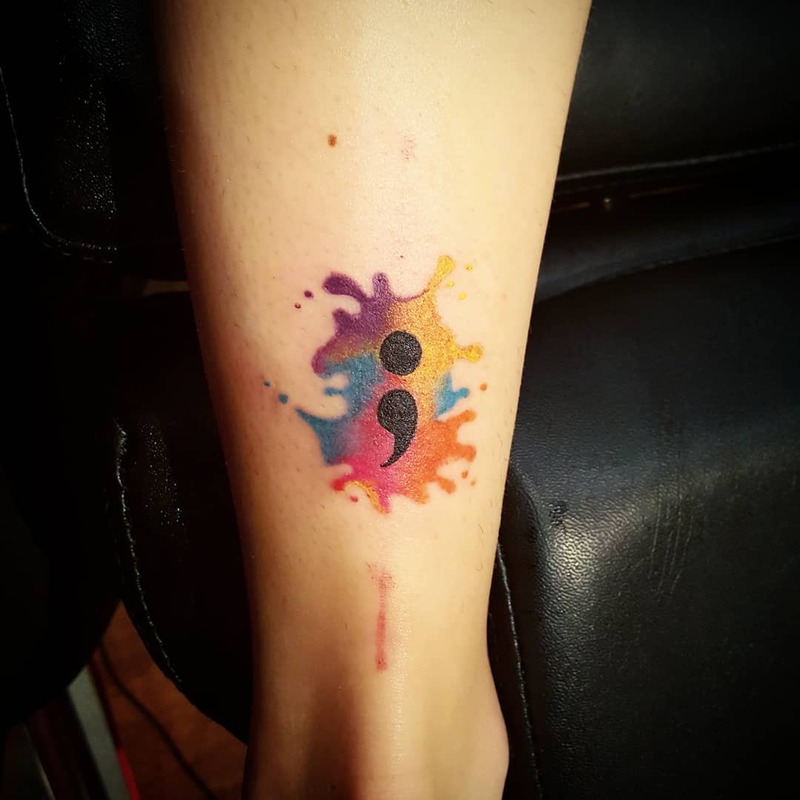 A semicolon tattoo with a watercolor tattoo as a background. 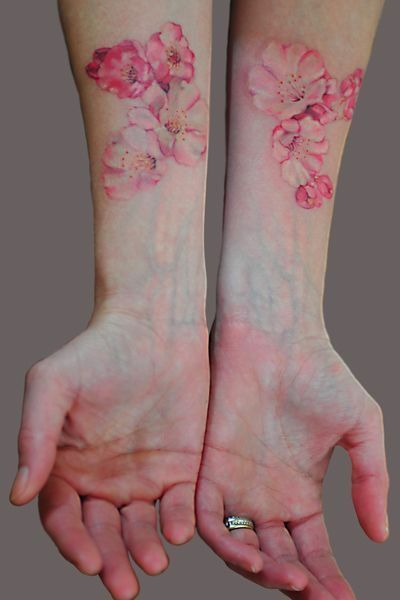 two watercolor tattoos of cherry blossom flowers on both wrists. 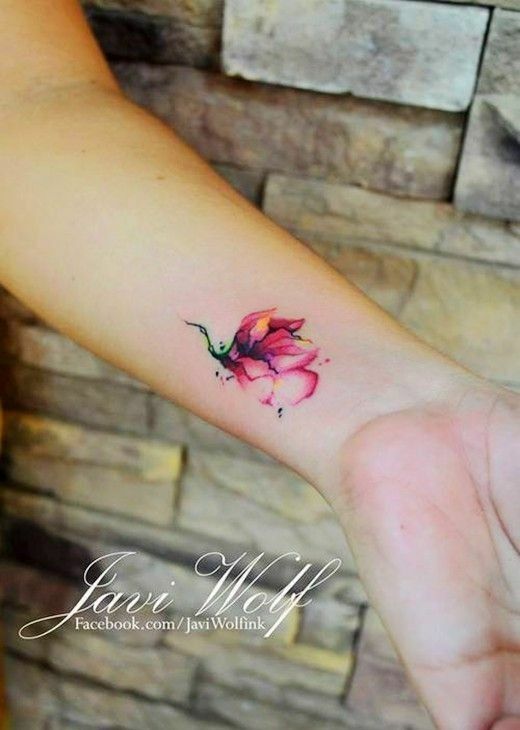 A small but colorful and highly detailed watercolor tattoo of a wilting flower on the wrist. 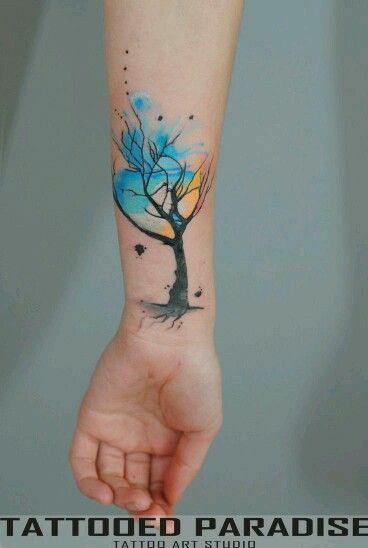 A watercolor tattoo of a tree without leaves inked on the wrist. 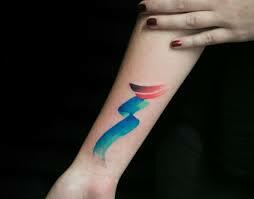 An artsy watercolor tattoo of blue and red brush strokes as if from a flat brush. 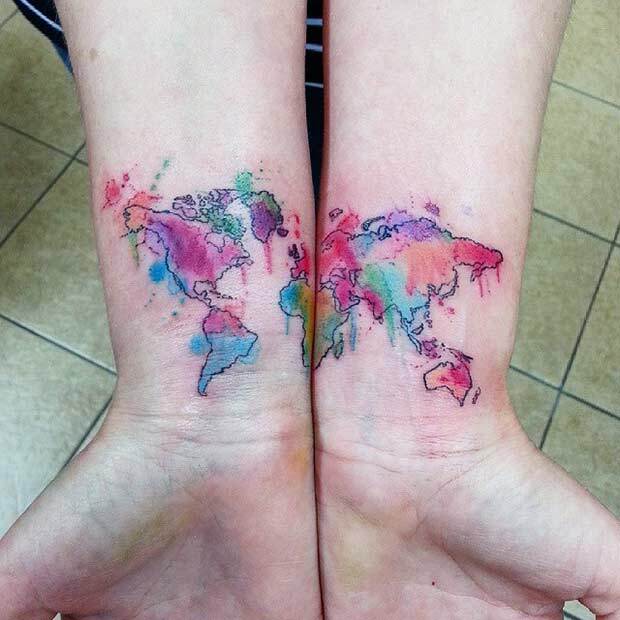 A beautiful and very vibrant watercolor tattoo of the world map divided in two wrists. 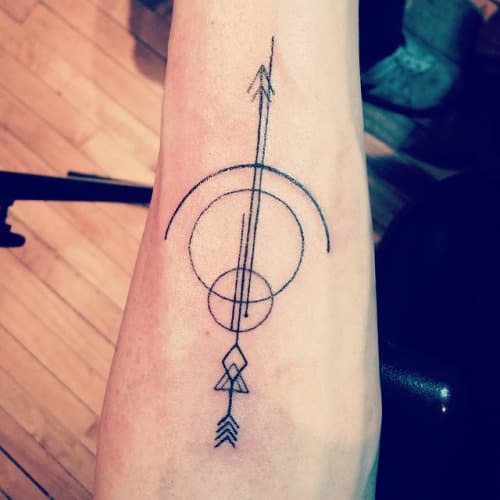 Arrow tattoos are not the most famous nor is the most meaningful one in the bunch but we believe it has one of the most aesthetically pleasing designs out there. You can go from the simple arrow shape to more detailed designs such as bohemian themed arrows. 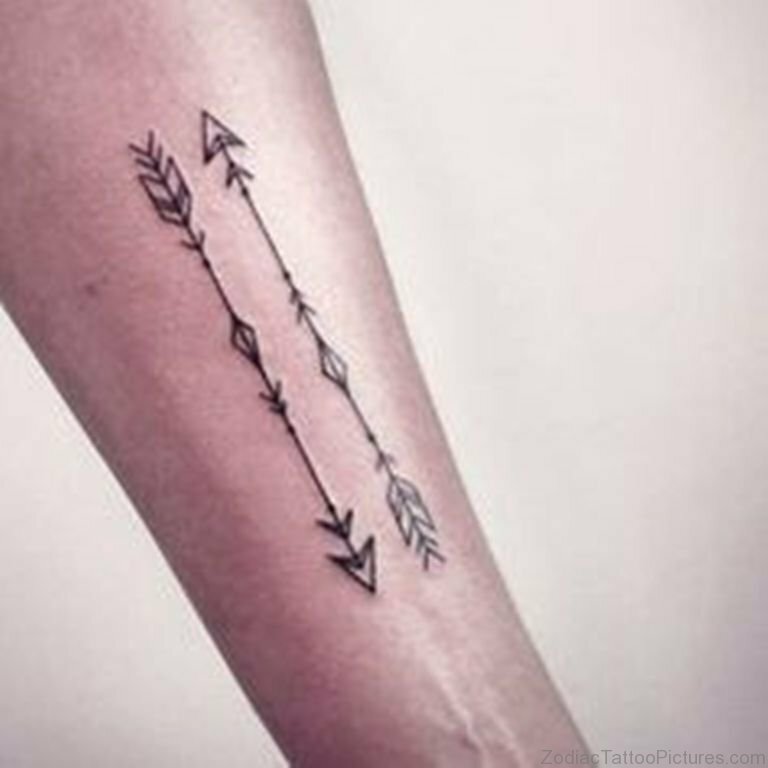 Although some may argue that this design is too simple or does not hold any deep meaning, others may rebut that the arrow signifies progress and desire to go higher than the expected. 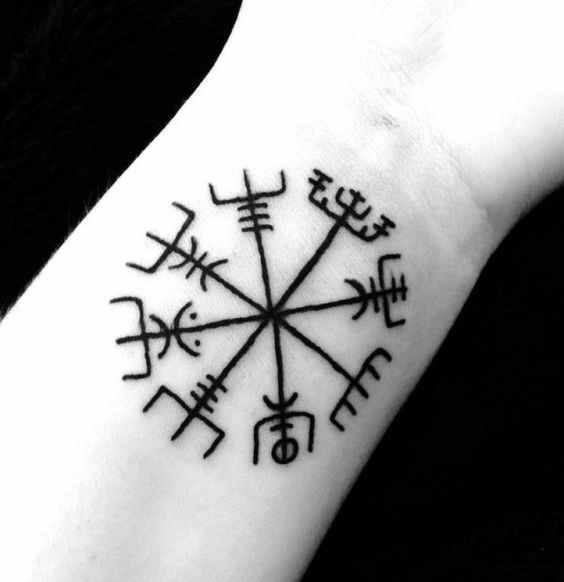 Whatever the meaning behind this tattoo design, we believe its one of the most appropriate tattoo designs out there for a wrist tattoo. A wrist tattoo of two parallel arrows that are highly detailed. 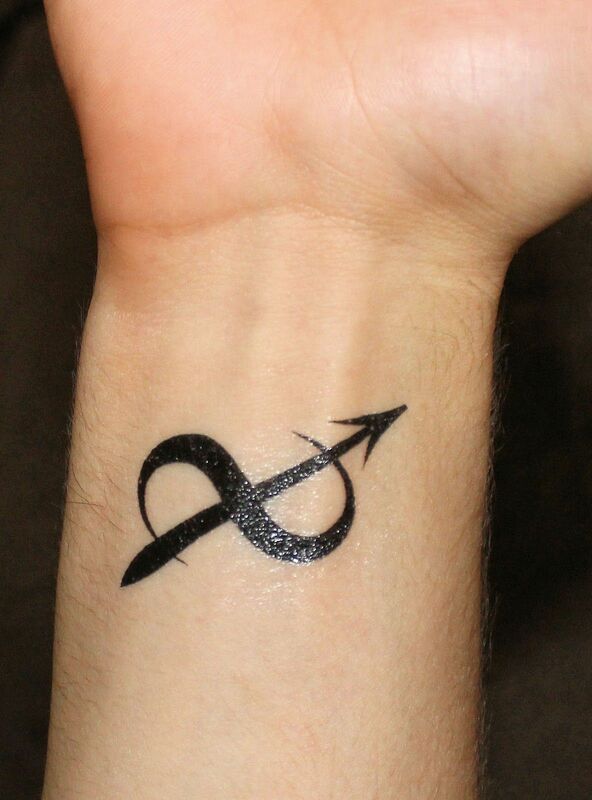 A small and simple wrist tattoo of an infinity sign with the arrow as a part of the said symbol. 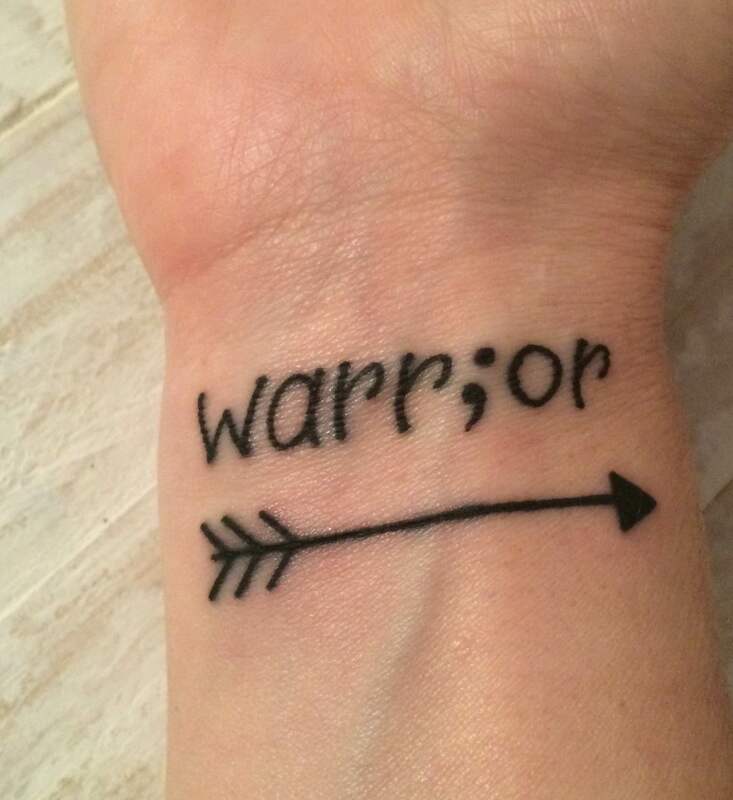 A bohemian themed arrow tattoo on the wrist. 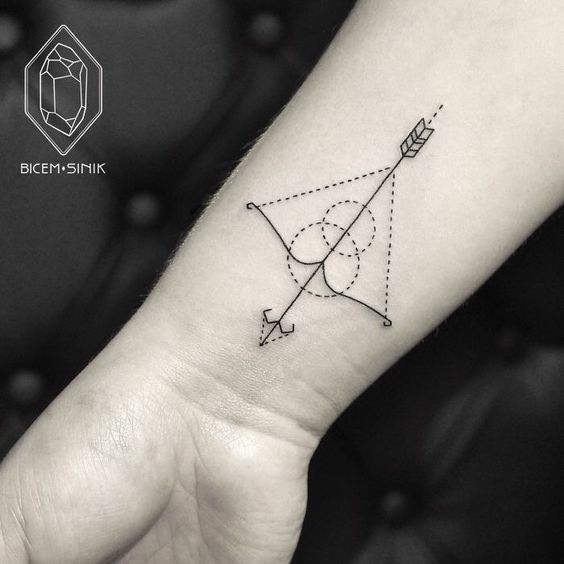 An artsy tattoo of a bow and arrow with two circles of broken lines added to enhance the visual appeal of the design. Usually, wrist tattoo designs are more associated with women with tattoos but as time goes by, more and more men are being drawn to wrist tattoos because of the changing of times. Tattoos nowadays are breaking the gender norms formed by the past generations of tattoo artists and tattoo enthusiasts. Wrist tattoo on men is more often designed as bracelet like to evoke that feeling of an accessory. It is seen more as an accent to men’s fashion choices than symbolism and other whatnots. 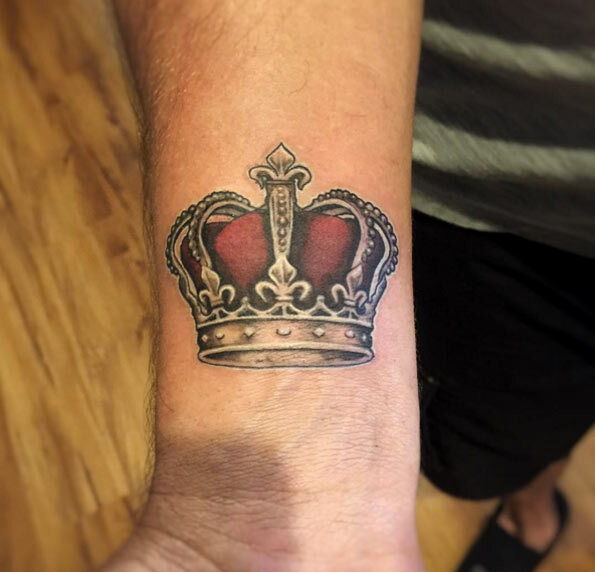 A highly detailed and colored wrist tattoo of a king’s crown. 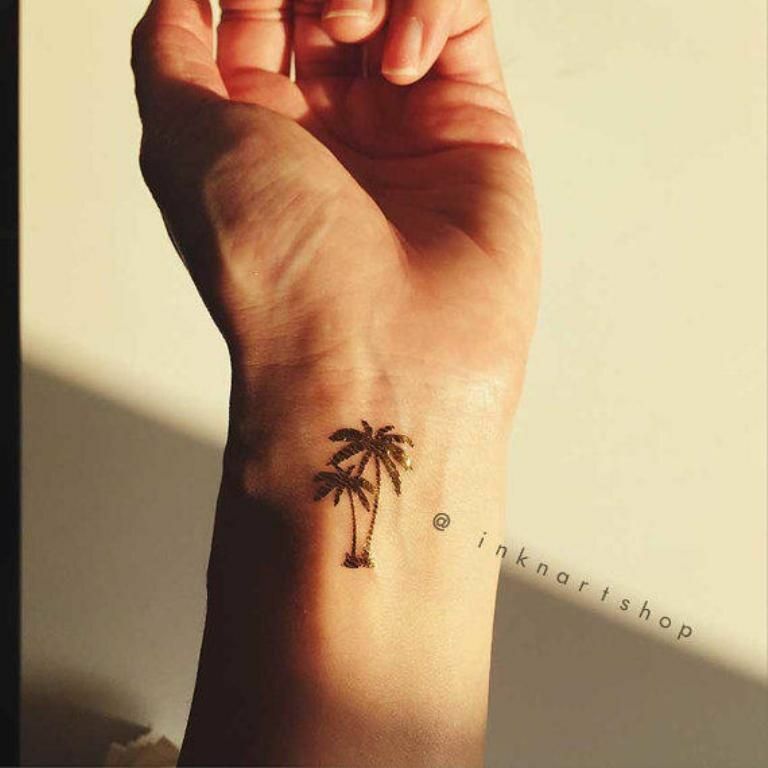 A small but cute wrist tattoo of two palm trees. 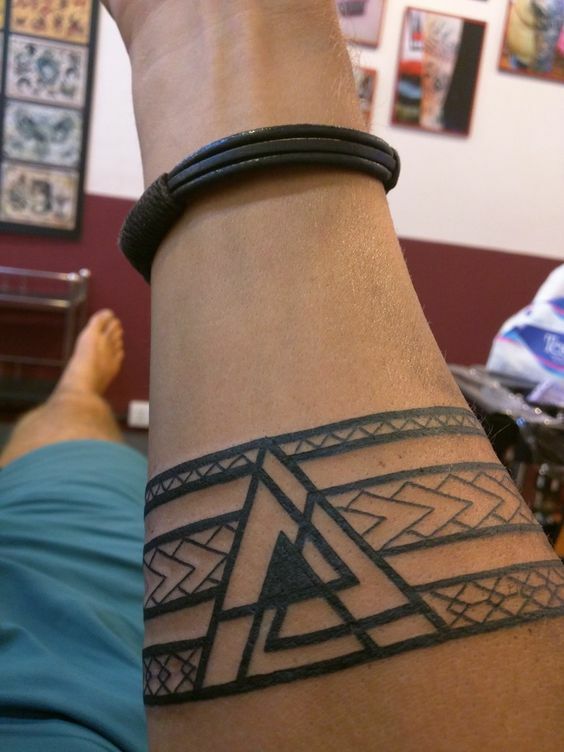 A wristband tattoo of the Viking symbol, Valknut. 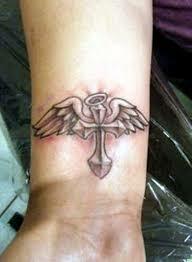 A wrist tattoo of a latin cross with wings and a halo. 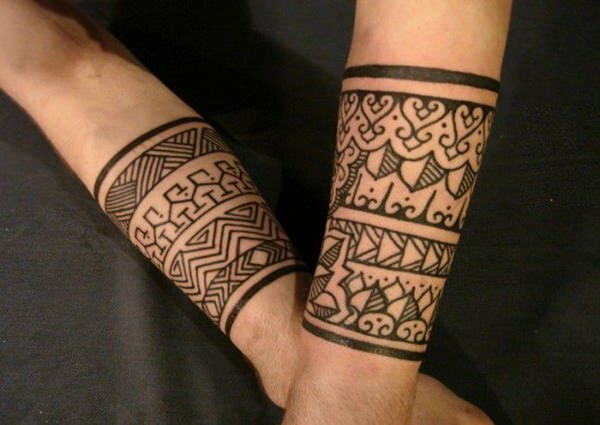 A very detailed and intricately designed wristband tattoo with traditional tribal detailing to further enhance the overall design. 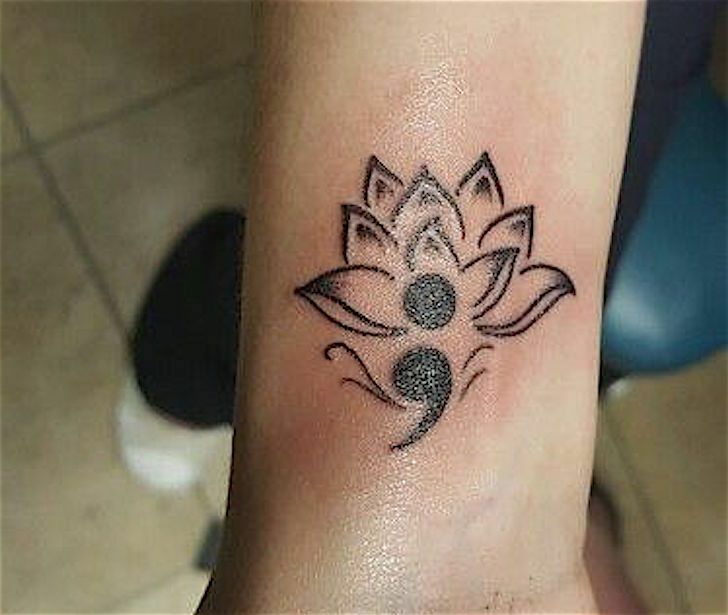 A wrist tattoo of six semicolons forming a flower of some sort. 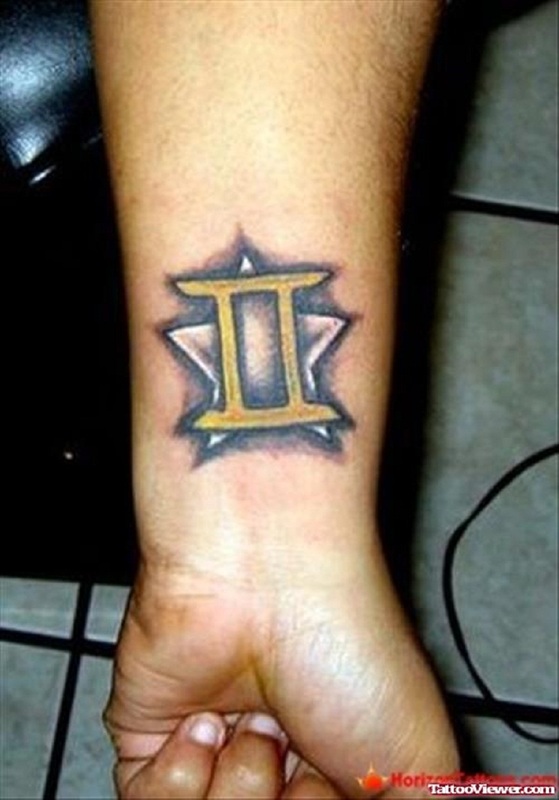 A colorful wrist tattoo of a gemini. 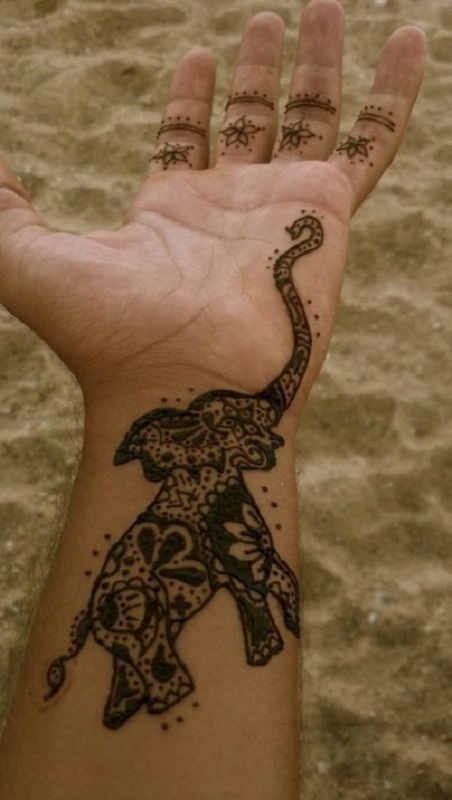 A very intricate tattoo of an elephant with its trunk extended to the palm and intricately detailed by mandala design elements. 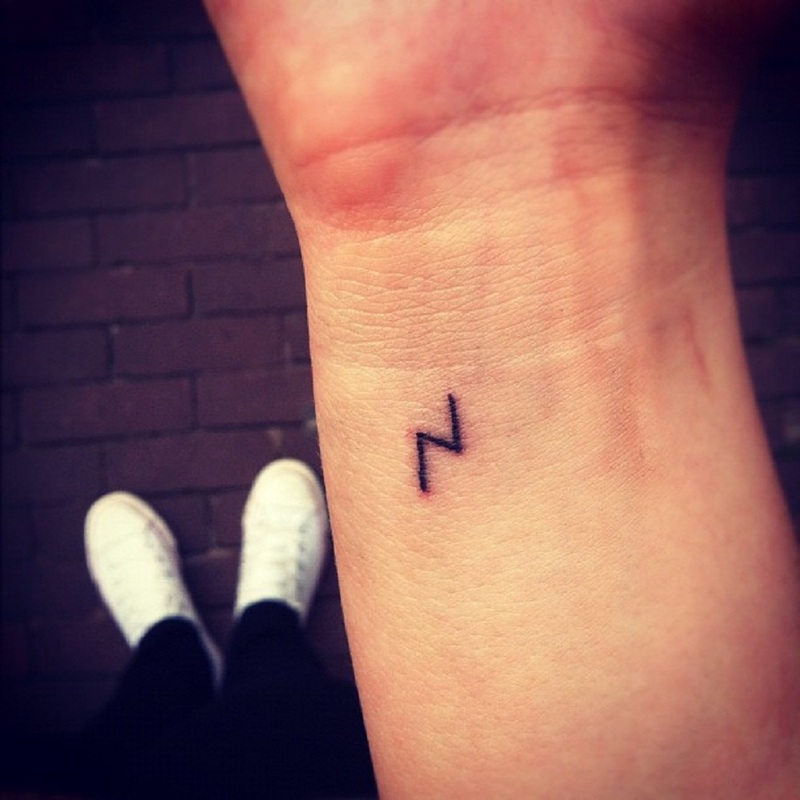 “You’re a wizard Harry” that’s the first thing you will hear in your mind when you see this Harry Potter scar tattoo. 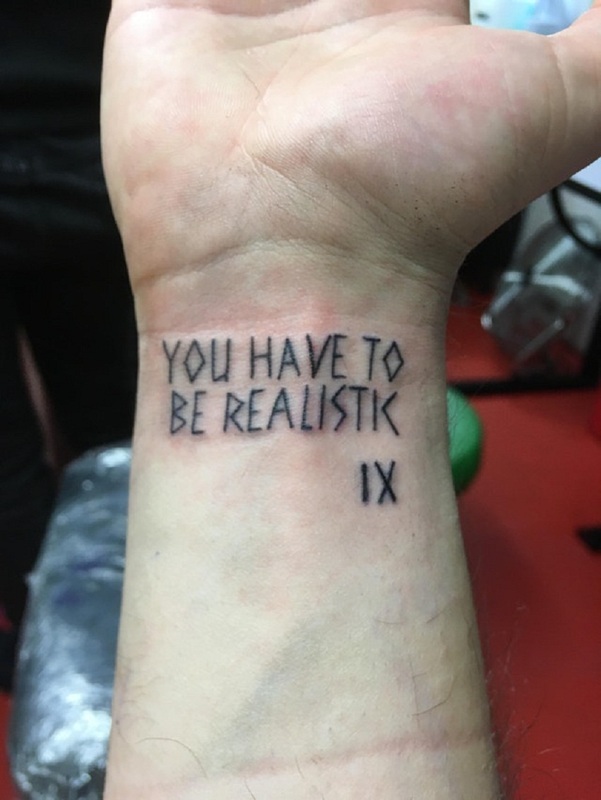 A simple wrist tattoo of a quote taken from a book. A highly vibrant and very colorful watercolor tattoo of a mandala. 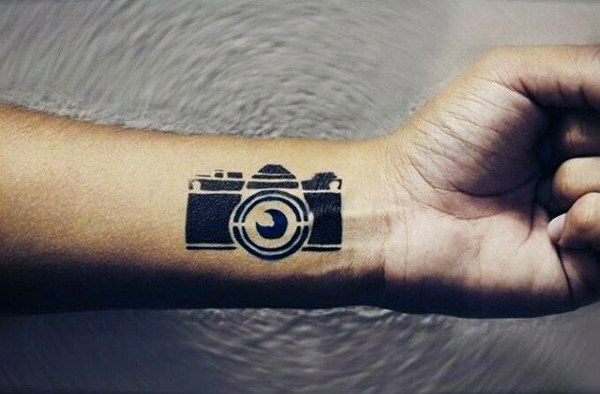 A wrist tattoo of an old single lens reflex camera in flat design style. 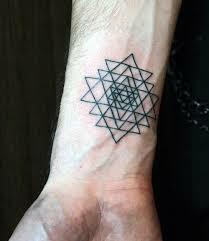 A very intricate wrist tattoo of a complex geometric pattern that is made when interlocking various triangles of diffeent sizes. 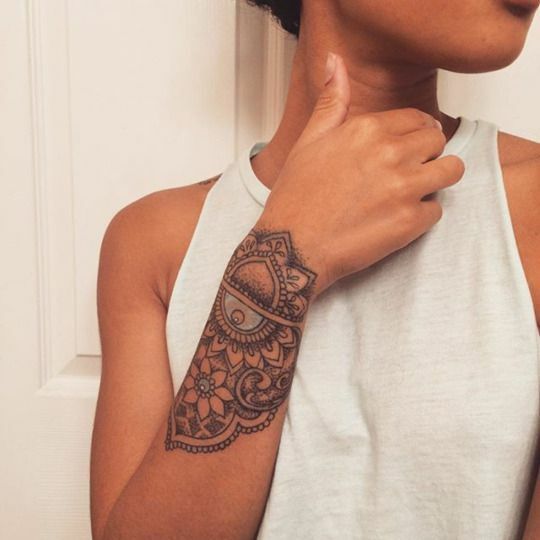 Wrist tattoo designs are most often associated with women especially since the wrist is seen as a “feminine” part of the body. Most women who have a very high tolerance to pain get wrist tattoo designs because the aesthetic value of the said tattoo placement greatly outweighs the pain they went through. Add that to the thousands upon thousands of wrist tattoo designs available for women if compared to male wrist tattoo designs, it comes to no surprise why wrist tattoo is very famous for women. 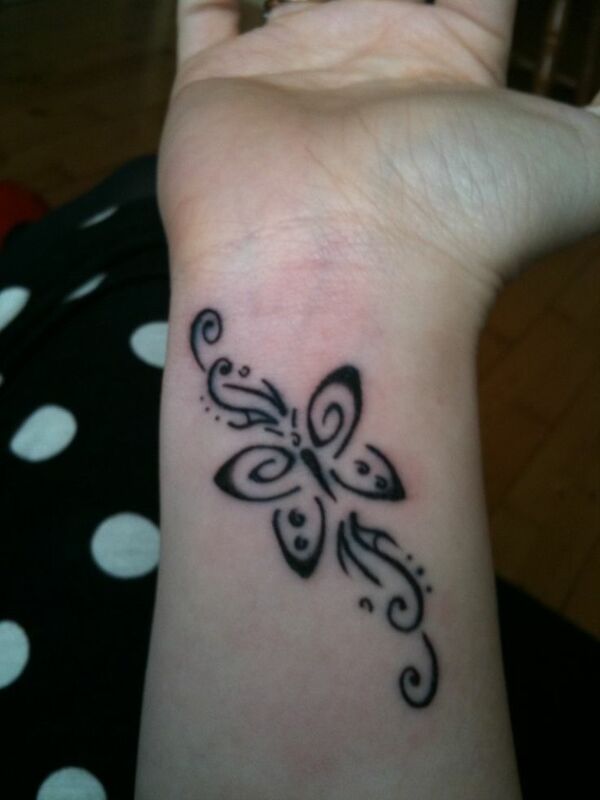 A semicolon and mandala tattoo on the wrist. A highly detailed mandala tattoo on the wrist. A beautiful but simple butterfly wrist tattoo with curved lines for additional detail and to improve the overall visual impact of the design. 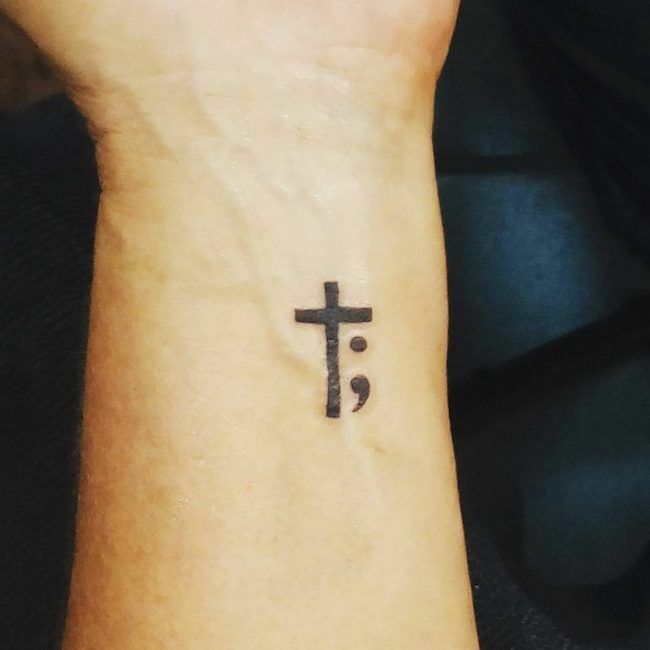 A tattoo of a cross and a semicolon on the wrist. 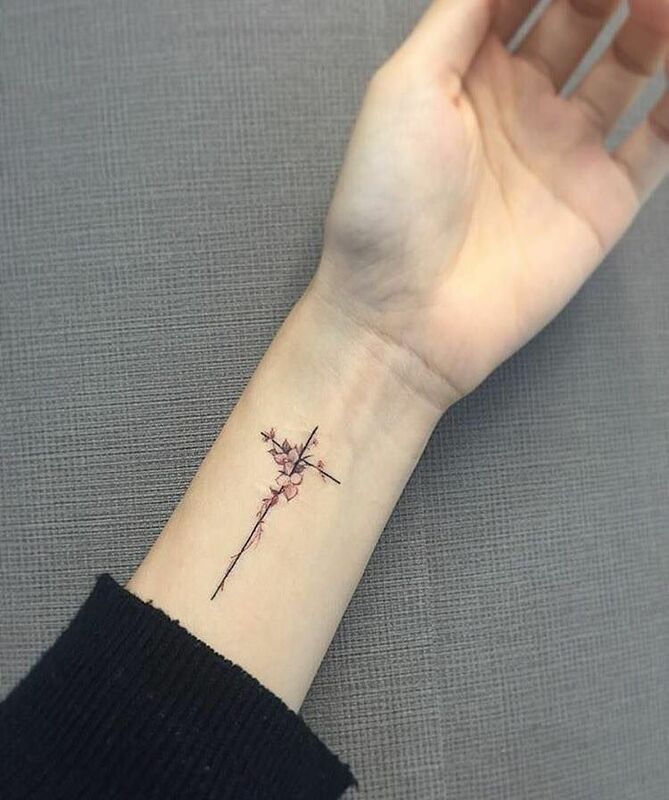 A small wrist tattoo of a cross with cherry blossom flowers to add that extra flair. 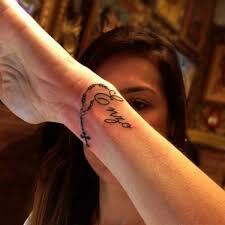 A wrist tattoo of a rosary with the name Enzo as additional detail. 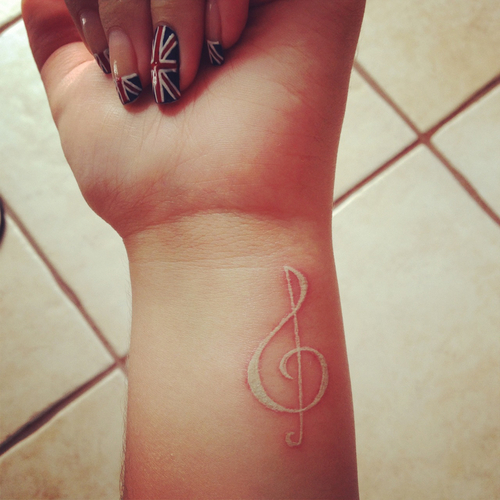 A simple note tattoo on the wrist of a G-Clef using white ink. 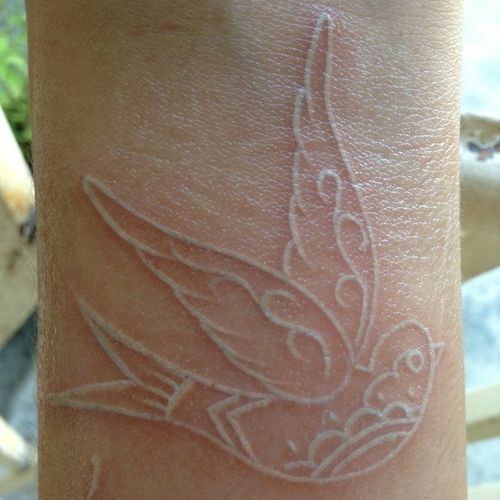 A white ink tattoo of a sparrow on the wrist. 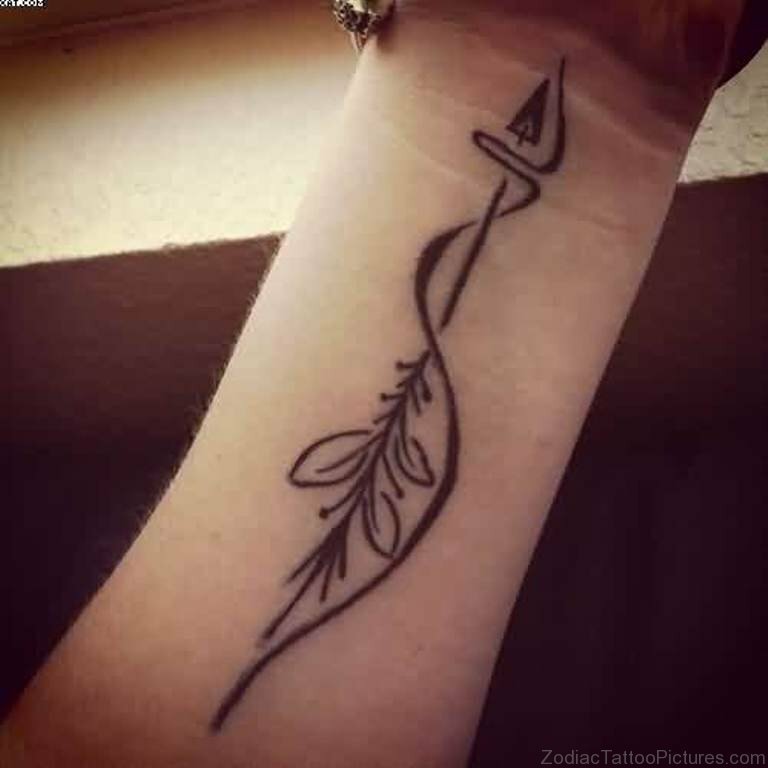 A bohemian styled arrow tattoo with geometric detail to accentuate the design. 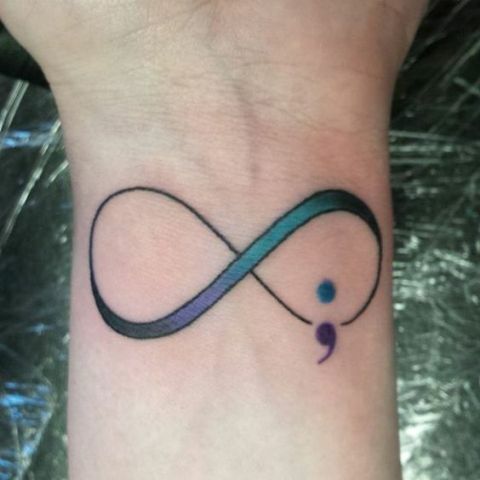 A watercolor tattoo of an infinity sign with a semicolon for additional detail.